It’s the most wonderful time of the year. Christmas is a fantastic holiday no matter where you are, though London is full of festive cheer and things to do that rival any city on Earth. Many neighbourhoods have creative Christmas light displays, public spaces turn into grand markets, churches ring with music, and other tourist attractions get a magical makeover. 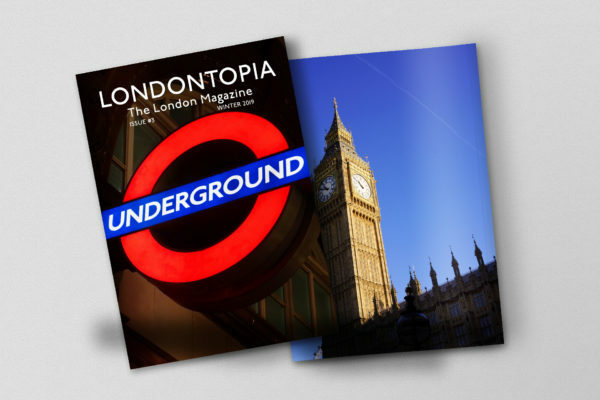 No matter what you do to celebrate the holiday, you are certain to find something joyous to do while in London. 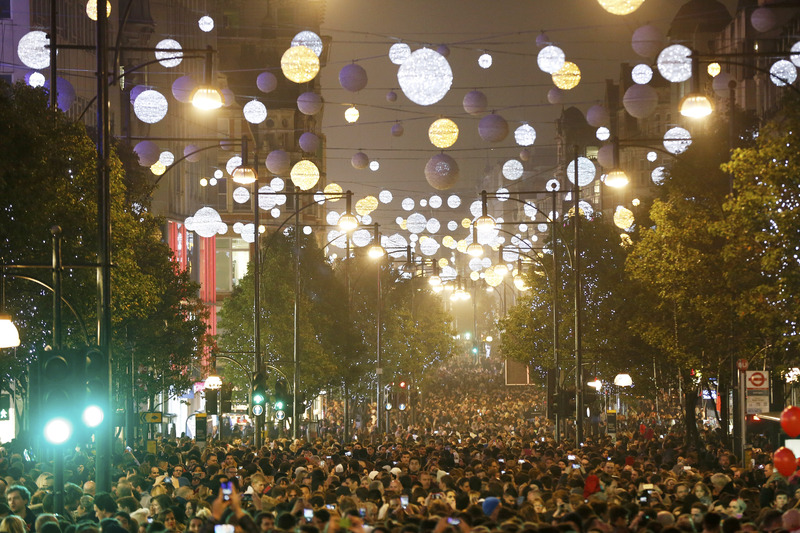 Have a look at five events to take in during London’s Christmas celebrations. St. Paul’s is one of the city’s most magnificent churches and its Christmas celebrations are no less impressive. The St. Paul’s Cathedral Choir is a world-renown performance group with 30 boy treble Choristers, 8 probationers, and 12 adult Vicars Choral. They are sometimes joined by the Cathedral Consort and the Cathedral Chorus due to the expanded number of services and concerts during the holiday season. 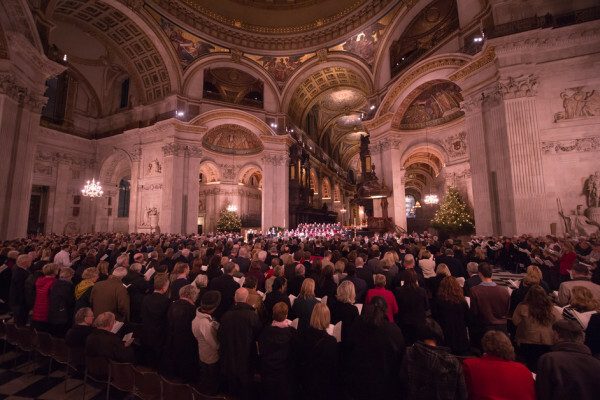 Concerts start in late November with the Advent Procession and continue all the way through to the Midnight Eucharist (Midnight Mass) on the 24th and through to the Christmas Day service. Christmas lights are a wonderful sight anywhere you go. Neighbourhoods in London make an especially spectacular effort to outdo each other while remaining elegant and festive. One of the best examples of Christmas light displays in London is found on Oxford street, a major shopping thoroughfare. Over 1,700 snowball lights crisscross overhead while the light of 750,000 LED bulbs bounce off 445 ornaments. Additionally, shops such as Selfridges will roll out their Christmas displays that are unparalleled in their extravagance. This year, the windows have a cosmic theme with each of the twelve windows representing a planet and sign of the zodiac. While the switch-on event took place last month, the lights will be up through the holidays for everyone to enjoy. Maybe you grew up reading the Harry Potter books and watching the films, or perhaps your children are getting into them now. Either way, the Warner Bros. 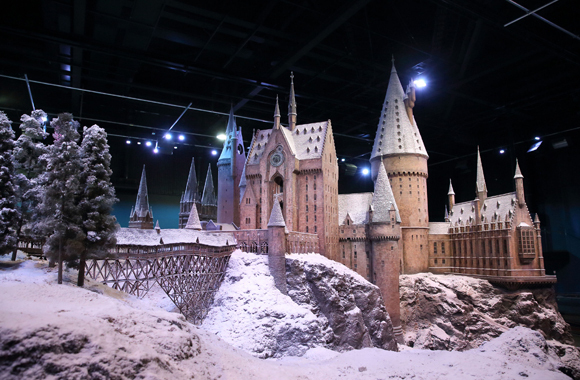 Studio Tour will let you experience the magic of the holidays at Hogwarts, starting with the model of the famous wizarding school blanketed in white and the Great Hall set is adorned with wreaths, garlands, and all the decorations you remember from the films. The tour also takes care during the holiday season to explain how the various sets and effects were done for Christmas scenes, from snow that never melts to flames without fire. Hampton Court Palace was a royal residence from the time of King Henry VIII until the 18th Century and still serves as a glorious example of Tudor art and architecture. 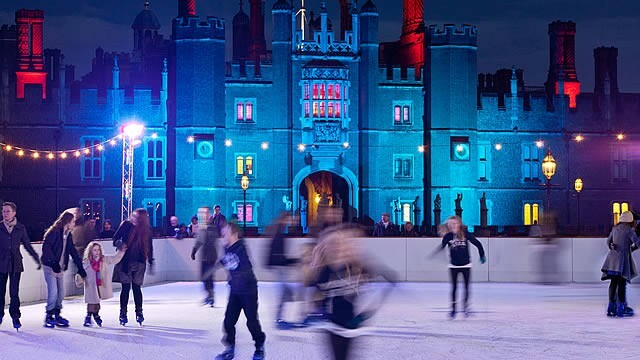 Starting in November, one of the city’s temporary ice rinks is created between the palace and the River Thames, allowing visitors to skate in the shadow of history. The ice rink only closes for Christmas Day, but you have to book in advance and it is recommended to do so for an evening session when Hampton Court Palace is illuminated. The palace also celebrates its 500th anniversary this year, so it’s worth your while to book a time to go on the tour as well, which will no doubt be decorated in the finest Tudor Christmas regalia. Once a year, Hyde Park is home to a winter carnival like no other. 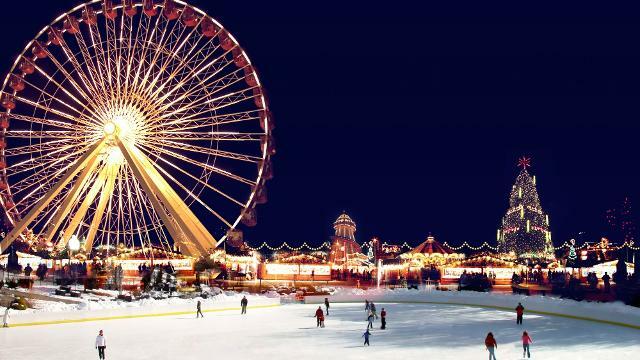 Anything you would experience in any other part of the city can be found here, from markets to lights to ice skating, as well as plenty of rides and exhibits. There’s also any number of festive foods and drinks to purchase within the park whether you’re in the mood for hot cocoa or German sausage. Some of the exhibits include the Cirque Berzerk, the Magical Ice Kingdom, the observation wheel, and Zippos Circus. While Winter Wonderland itself is free to enter, some of the rides and exhibits require queuing and purchasing tickets, so be sure to do your homework before you go. 13th December 1-4pm at the Lamb pub in Surbiton. An event not to be missed especially if skating at Hampton Court! The Made In Surbiton Christmas Market! Beautiful hand made crafts all locally hand crafted and home made. Just wonderful! Really puts me in the mood for the upcoming holiday season! Thank you! This is great! 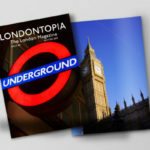 We’ll be in London on Christmas Day (from the U.S.) with our three kids (9-15 yrs.). What’s the best way to find out a place to go for a nice (moderate range) Christmas dinner in the Kensington area? I’m thinking we should make reservations now. Maybe you have suggestions? You would need to make reservations now – but finding somewhere will be difficult as most places will be closed. I’m afraid we can’t be much more help! You’ll have better luck booking somewhere for Boxing Day lunch. 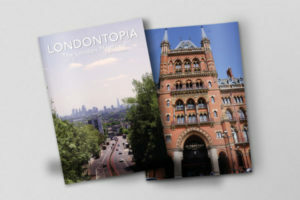 Where will you be staying – hotel or apartment? In either case, contact the proprietors and ask their advice. Everywhere will be more expensive than usual over the big holiday days I’m afraid. I live hundreds of miles from London, so haven’t any personal knowledge, but an Internet search should find you somewhere nice. 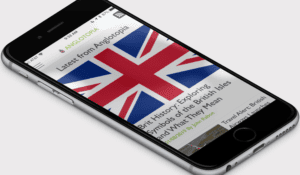 After my previous post, I tried a quick Internet search for ‘Christmas Day lunch, Kensington’ (probably a good idea to add ‘London’ from outside the UK) and lots of websites with lists of restaurants appeared. Many were Chinese, Indian, Italian etc. but plenty of traditional British places too. Get searching, make your choice, and DO book as soon as possible. Wherever you choose, I’m sure the atmosphere will be friendly and fantastic!